A Chiropractic adjustment applies a specific force in a precise direction to a joint that is subluxated, “locked up,” or not moving properly. The purpose of this safe and natural procedure is to eliminate interference to the nervous system, improving spinal function and overall health. Gentle spinal adjustments boost your body’s immune system. Chiropractic works by restoring your body’s innate ability to be healthy. Under optimal conditions with a healthy nervous system, all the cells, tissues, and organs of the body are designed to resist disease. These same cells, tissues and organs create your body’s hormones and cellular physiology. This means any impairment of the nervous system will directly impact proper body physiology and chemistry. The chiropractic approach to better health is to locate and remove interference’s (subluxations) to your nervous system. With improved spinal functions, the nervous system functions better and all your physiologic functions improve, for example: blood sugar, blood pressure, and thyroid functions. Dr. Gamboa’s goal in making adjustments is to provide your body with the best chance at healing itself. A healthy spine and a healthy lifestyle are your keys to optimal health! Chiropractors take x-rays to reveal the internal structure and alignment of the spine. We are also concerned about underlying disease processes and disorders of the spine such as spinal deterioration, arthritis of the spine, abnormal development, bone spurs, disc disorders, tumors, and spinal curvature. X-rays also provide a blueprint for restoring the spine to optimal health and alignment. the guess work out. The result can provide the difference between being in discomfort and feeling great. No, Dr. Gamboa evaluates each patient’s unique spinal problem, developing an individual course of care. Each Chiropractic adjustment builds on the previous one, restoring your health on a gradual basis. Yes, Chiropractic has an excellent safety record. It is the result of a conservative and natural approach to health that avoids invasive procedures or addictive drugs. As proof, one merely has to compare malpractice rates between Chiropractors and other health care professionals. Chiropractors’ malpractice premiums are a small fraction of those for medical doctors. Actually, some adjustments do not produce a sound. However, other adjustments create the sound of spinal “release” or “popping” sound. This sound is caused by nitrogen gas rushing in to fill the partial vacuum created when the joints are slightly separated and is painless and totally harmless. No, since a Chiropractic adjustment is a specific force applied in a specific direction to a specific joint, it is virtually impossible to adjust oneself correctly and accurately. It is possible for you to turn or bend or twist in certain ways to create a “popping” sound that sounds like an actual Chiropractic adjustment. Unfortunately, this type of joint manipulation is usually counterproductive, often making an already unstable spine even more unstable, and can sometimes be dangerous. Adjusting the spine is not for amateurs! No, but if it were, there would be more healthy people around and Chiropractors would not get patients who last saw a Chiropractor “a few years ago when their back went out.” It is possible to get used to feeling more balanced, less stressed, and more energetic as a result of regular Chiropractic care. While Chiropractic is not addictive, good health is. Yes. It’s an unfortunate fact that up to half of those who had spinal surgery discover a return of their original symptoms months or years later. They then face the prospect of additional surgery. This too-common occurrence is known as “Failed Back Surgery Syndrome.” Chiropractic may help prevent repeated back surgeries. In fact, if Chiropractic care is utilized initially, back surgery can often be avoided in the first place. Since significant spinal trauma can occur at birth, many parents have newborns checked for vertebral subluxation. Naturally, Chiropractic adjusting procedures are adapted when treating small infants or children. Many childhood health complaints that are brushed off can be traced to problems with the spine. Having your child evaluated by a Chiropractor can often prevent health problems that emerge in adulthood. Most parents report that their children enjoy their Chiropractic adjustments and as a result, are healthier than their peers. Please visit www.jvsr.com or http://chiropracticresearch.org for research information on Chiropractic care and specific health conditions. By improving or eliminating spinal neurological dysfunction, your physiology improves and thus your health status is closer to normal. Our goal of course, is to reduce pain and optimize your health potential. With a normal nerve supply, the body’s natural healing capacity can improve a variety of health problems. If the doctor feels you need a referral to another practitioner for further treatment or evaluation, you will receive the referral immediately. Anytime is a good time for a better-functioning nervous system. Pregnant mothers find that Chiropractic adjustments improve their pregnancy and make delivery easier for themselves and their baby. Adjusting methods are always adapted to a patient’s size, weight, age, and condition of health. Chiropractic was born in 1895 – the same year as medicine. There’s nothing mysterious about chiropractic. It’s a natural method of health care that focuses on treating the causes of physical problems, rather than just treating the symptoms. 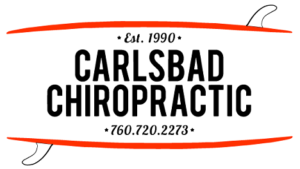 Chiropractic is based on a simple but powerful premise: Central to chiropractic is the focus on the nervous system and “subluxations” or spinal misalignments. There are many factors that can cause a spinal misalignment: Physical, chemical, and emotional stress can cause spinal misalignments. Physical would include how you sit, sleep, and work plus previous accidents and injuries. Chemical refers to the food you eat, air you breathe, and the drugs or improper supplements you take. Mental includes emotional stress that affects the nerve system functions. The key to chiropractic is understanding that your nervous system controls and coordinates the physical, chemical and emotional well being of all your body’s living cells. Basically, when spinal bones misalign, this causes the nervous system to malfunction. The misalignment of spinal bones is called a “subluxation.” Subluxations affect the normal coordination capabilities of your nervous system creating actual static within the nervous system – similar to not being able to adequately hear the other party when on a telephone line. As you know, this can be a frustrating experience! The chiropractic approach is to reduce or eliminate this “neurological interference.” With a normally functioning spine and healthy nerve system, your body is better able to heal itself because your spine is the lifeline of your nervous system; it controls feeling, movement, and all functions throughout your body. Doctors of Chiropractic are well-educated health professionals. Chiropractic education and medical education are similar in many respects but different that Chiropractors do not prescribe drugs or perform surgery while medical doctors do not correct vertebral subluxations. After graduating with a Doctor of Chiropractic (D.C.) Degree, each candidate passes the demanding four-part National Board Examinations. Then doctors apply to a governmental or professional licensing board where they must pass a still more difficult test before being granted the privilege to practice. A Chiropractor’s education, however, never ends. Most doctors complete regular postgraduate instruction for license renewal and to stay current on the latest research and adjustment techniques. Chiropractors base their care on the detection, correction, and prevention of vertebral subluxations (spinal misalignments). We use specific spinal adjustments to correct the spine, to improve nerve system functions and reduce nerve interference. Osteopaths, though trained in “manipulation” techniques, often resort to an allopathic administration of drugs, surgery, and other traditional medical therapies. Therefore, their approach is usually not oriented to the spine and wellness model characteristic of Chiropractic health care. Also, Chiropractors utilize an entirely different analysis system than Osteopaths in approaching and removing vertebral subluxation. Results vary depending upon the practitioners approach. Not always. A subluxation is like a dental cavity–you may have it for a long time before symptoms appear. While it may be possible to know you have a subluxation, it is rarely possible to be sure you don’t. That’s why periodic spinal check-ups are so important. They promote good health from the inside out. No. Exercise is an important part of good health, yet without normal spinal function, a physical workout merely puts additional wear and tear on improperly functioning spinal joints. Regular exercise will not replace Chiropractic care, just as regular Chiropractic care will not replace the importance of regular exercise. Dr. Gamboa utilizes health tips on exercise, posture and work ergonomics in his recommendations to maintain proper spinal health. + What is a chiropractic adjustment? + How does chiropractic work? + Why do chiropractors take x-rays? + Are all patients adjusted the same way? + What causes the sound during an adjustment? + Can I adjust myself? + Is chiropractic care addictive? + Can a person who had back surgery see a chiropractor? + Do children need chiropractic care? + Does chiropractic work for all types of health problems? + Is it OK to see a chiropractor if I’m pregnant? + What is chiropractic care? + What type of education do chiropractic doctors receive? + What is the difference between a chiropractor and an osteopath? + Can I tell if I have a subluxation? + Is a good work-out the same as getting adjusted?